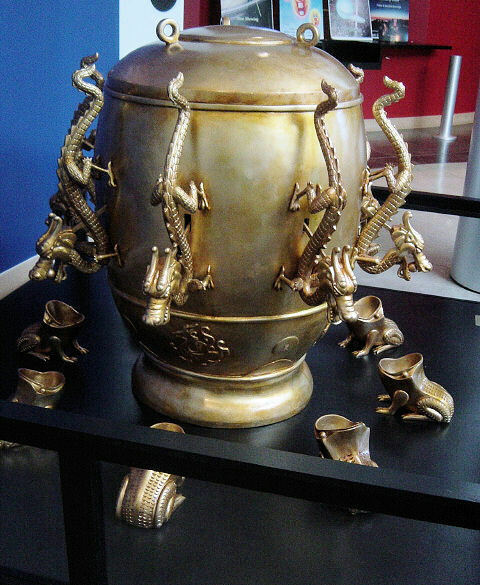 Did you know that the seismometer (a device for measuring earthquakes) evolved from a Chinese invention?? Years ago, a copy of this machine was one of the attractions at the exhibit called China: 6000 Years of Discovery which toured briefly around the country and ended up at the Seattle Museum. A picture of this instrument is shown below. To read an authoritative article about the seismometer, and its history click here.